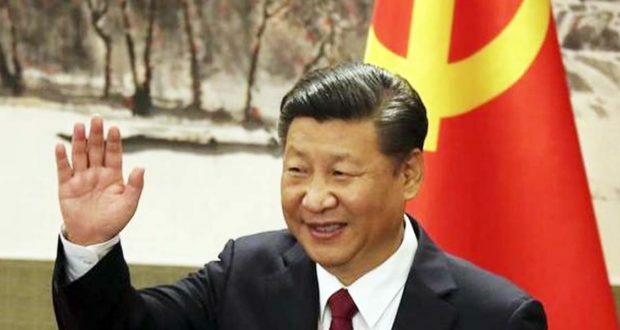 It’s official– Chinese lawmakers have passed a constitutional amendment that abolishes term limits for its President, meaning Xi-Jinping will remain as the country’s leader for the rest of his life. Xi’s predecessor put the two-term limit in place in 1982 to protect China from lifelong dictatorships, but now the country’s National People’s Congress (NPC) has been manipulated to abolish these limits. China’s Congress, made up of 3,000 hand-picked delegates, all “voted,” a process that only took ten minutes to complete. The results then were soon announced after the vote. 2,958 voted in favor, two in opposition, three abstained and one vote was invalidated. Xi would have had to step down in 2023 after his two terms as China’s president, but now he will stay in power indefinitely. On February 25, the ruling Communist Party announced the proposal to eliminate the two-term limit for the presidency, claiming that both the head of the party and the military have no term limits. China Daily defended the proposal after it received criticism from the West. “They revel in their ignorance of China’s reality and hold fast to their mean, even malicious predisposition toward China’s political system out of their irrational, subjective and unprofessional ideological bias,” said the paper. However, critics argue that not only is this a move of a dictatorship, but it could ultimately backfire on Xi. Xi was elected back in 2013 and ironically, it was his anti-corruption campaign that helped him gain his popularity. Critics of Xi argue that this was merely a technique for Xi to purge political rivals. Since Xi was elected president, China’s state surveillance and censorship programs have dramatically increased. China doesn’t allow any political opposition. The NPC also approved the establishment of a national anti-corruption agency, which many fear will not be used to reform, but rather as a way to destroy any disloyal politicians. Author’s note: This means that Xi is officially a dictator. A dictator is defined as “a political leader who possesses absolute power and wields it in an oppressive manner” and Xi has done that with this “amendment,” censorship, and by spying on his citizens. China is not even pretending to be a democracy. Even if there are elections, no one will stand a chance. Xi will make sure of that.